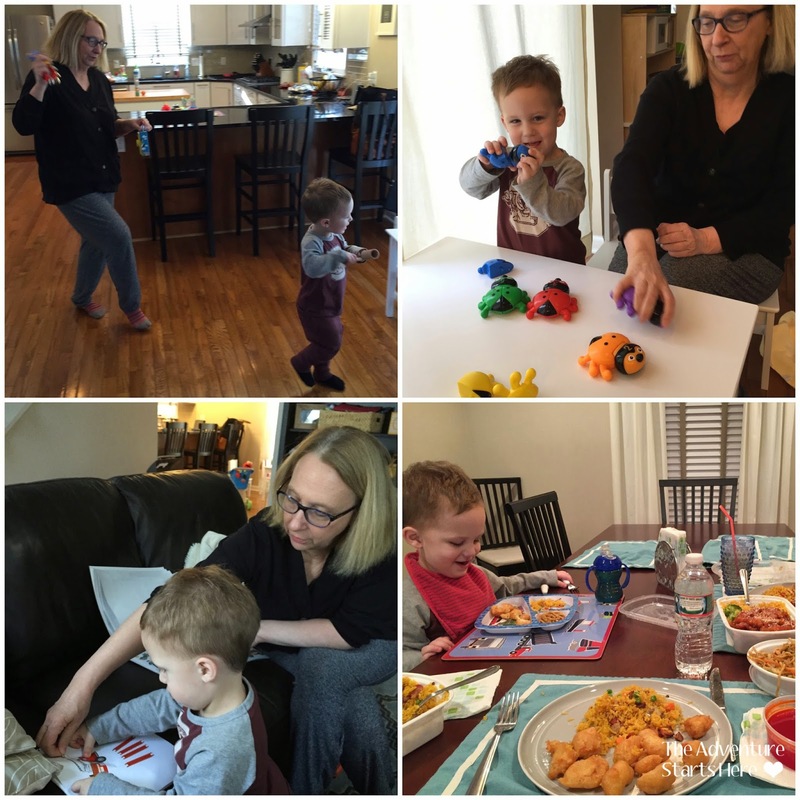 I'm back today with another "A Day In The Life" posts. I decided I wanted to do these quarterly to really see how our lives change throughout the year. Here are my posts from November 2014, August 2014, May 2014, January 2014, and April 2013. Today is Tuesday, February 10th. Chris is 37, I am 30, and Noah is 2 years old. 6:15 AM... Noah woke up but he was totally happy to hang out in bed snuggling, watching his iPad, and drinking some apple juice. I was shocked but pleased that we ended up staying in bed until almost 8 am! This is my favorite time of day... we give hugs, kisses, and talk about what we will do the rest of the day. Today, Noah was acting super silly and thought it was fun to stick his tongue out and try to lick my face... I prefer kisses! 8 AM... we finally got out of bed and started getting ready. I had washed my hair yesterday, so it didn't take that long to get ready. Even though our plans weren't until later, I decided to get dressed and put my makeup on first thing. Noah helped me make my bed, he loves handing me the pillows :) I then changed his diaper and he picked out his outfit. While he wears his PJs to eat his breakfast (since he gets messy eating yogurt), I still have him pick out his outfit now that he then changes into after breakfast. He said "no" to many options but then settled on his new tiger shirt... ROAR! 8:30 AM... We head downstairs and get some breakfast. I put some waffles in the toaster and Noah gets his yogurt, spoon, and bib (he's adamant to do it himself). 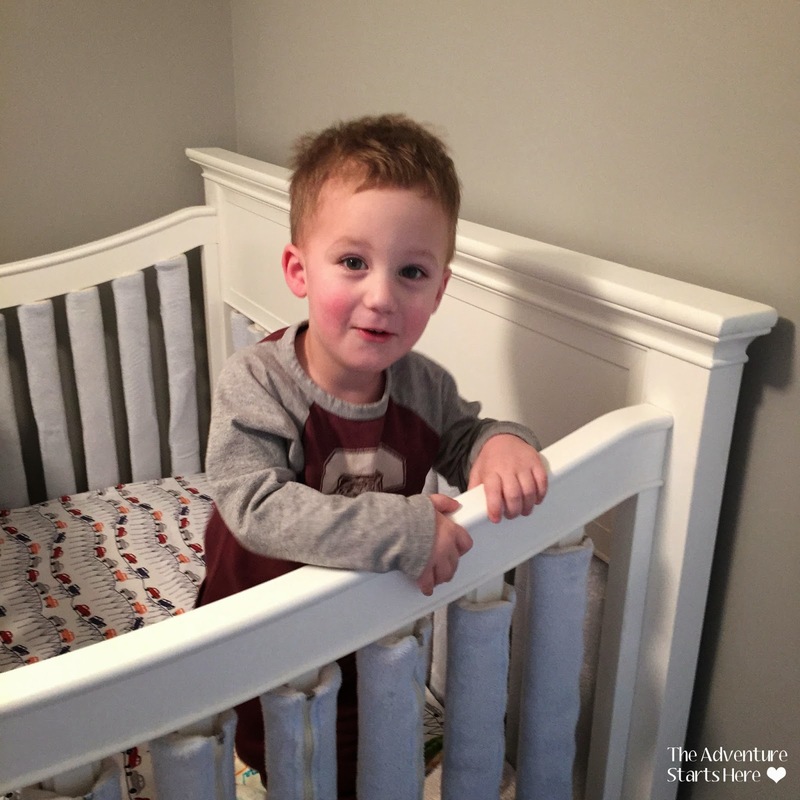 He requests to watch Daniel Tiger while he eats and I was excited to see that a new Valentine's Day episode had recorded earlier that morning. 9:10 AM... I get Noah dressed of the day and then he goes off to play. I take the opportunity to watch Castle from last night. Noah would come back occasionally asking me to read some books and play "marching band". 11 AM... We leave the house and drive to Gymboree. Class is from 11:15-12 and while Noah is kind of quiet and shy, he still had fun. 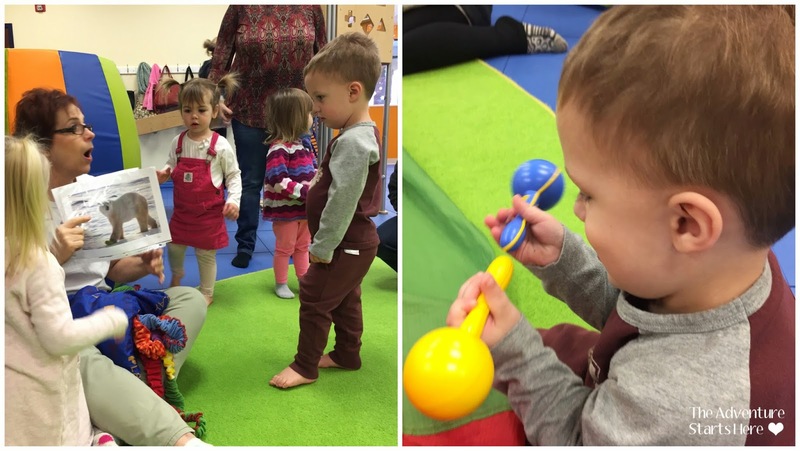 His favorite part is circle time where we use the maracas, sing the ABCs and then do the parachute. 12:10... We are back at home and I start making lunch while Noah puts his hat and boots away. 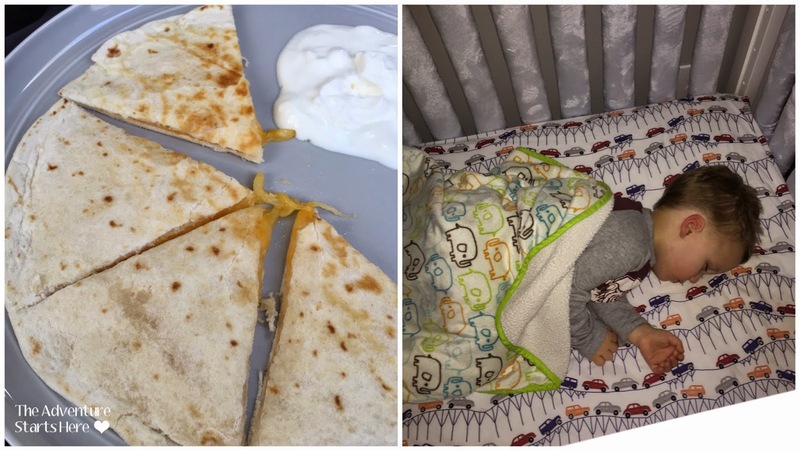 I made us cheese quesadillas and I was shocked that he ate 1 1/2 pieces! We then play a little bit longer before heading up for nap at 1 PM. 1:18 PM... Noah is asleep in his crib and I get to relax! I listen to some episodes of Serial and putz around on my computer. 2:50 PM... Noah wakes up and I hear "Hi, Mama. Hi, Mama." over and over again. While I would have liked a longer nap, I was glad he woke up happy. 3:10 PM... Noah and I come downstairs to watch Curious George and have a snack. Yesterday, he had no interest in clementines. So today, when he asked for another yogurt, I got it for him and I got myself some clementines. 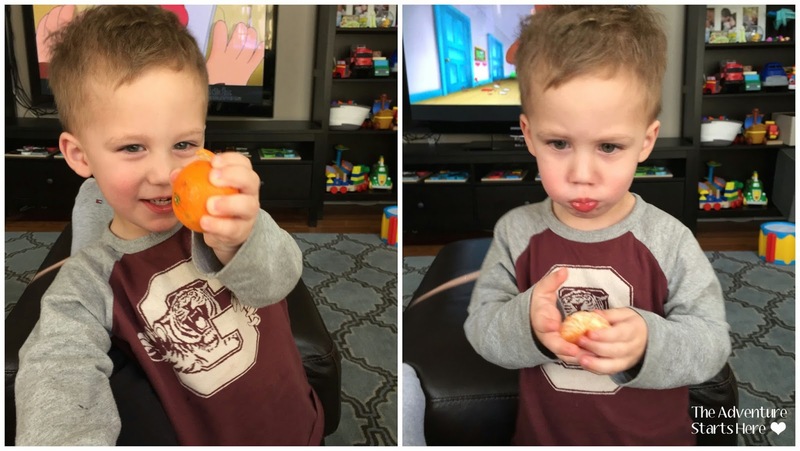 As soon as he saw the clementines, he forgot about the yogurt and only wanted to eat my snack ;) He even tried to peel them but after I saw him taking chunks out of the actual clementine, I told him only mamas can peel oranges. 3:30 PM... Grandma came over to play with Noah. 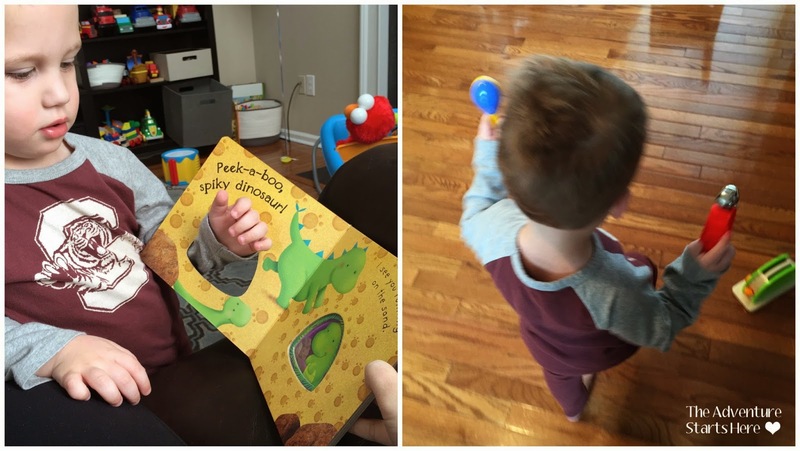 She brought him a huge new sticker book. 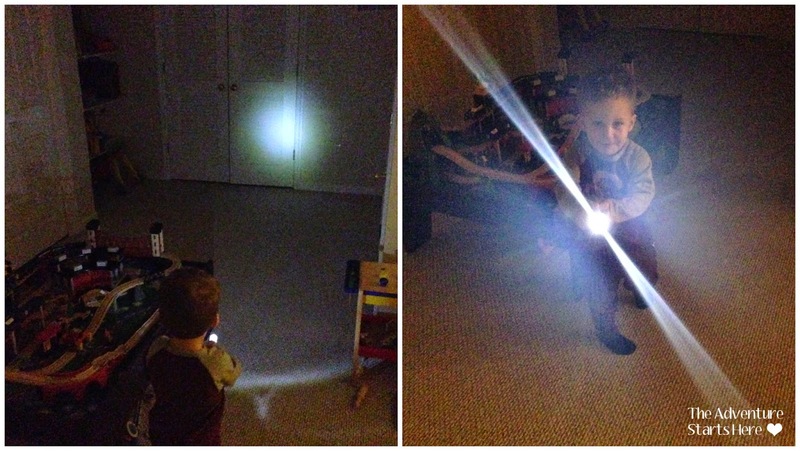 They played with that for a while, we played "marching band", and with his "counting bugs". 5 PM... my mom went and picked up Chinese food for us to have for dinner. My mom then went home after dinner. 6:40 PM... Chris arrives home. 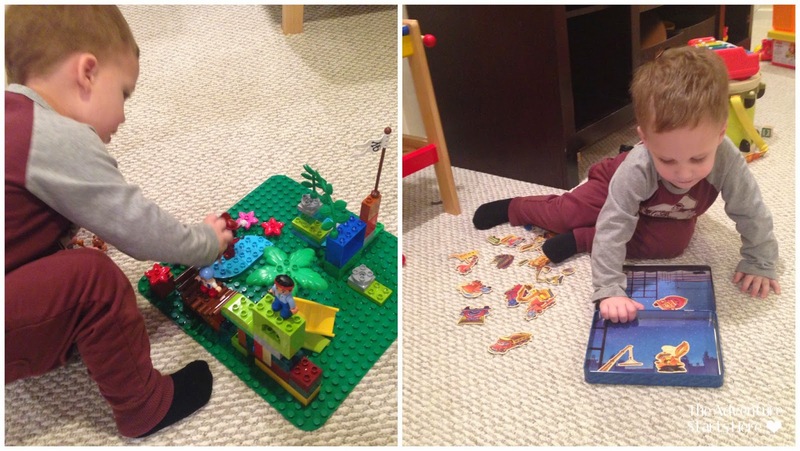 Noah immediately wants to play with him, but we tell him that Daddy has to eat dinner first. While Chris eats, I tell him all about our day. Then it's finally time to play! 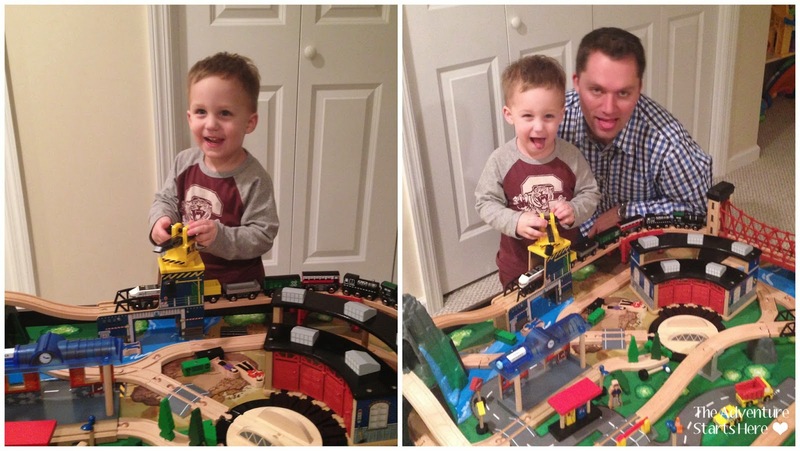 Noah takes Chris downstairs to play with trains while I go upstairs to relax. 8 PM... Chris brings Noah up for a bath. 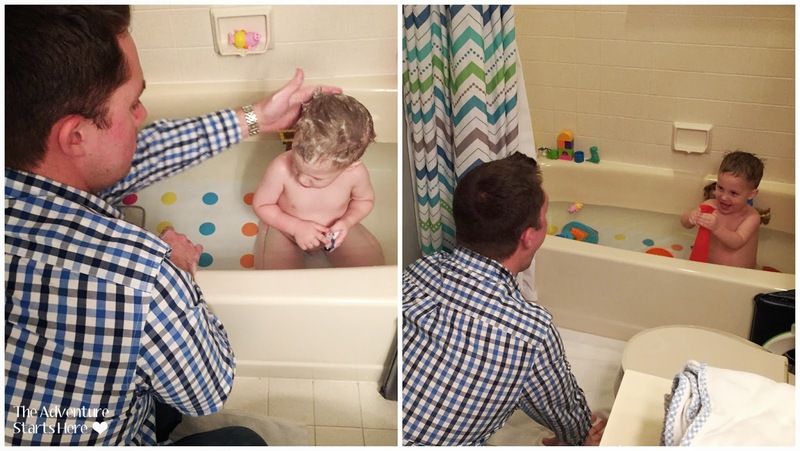 Part of their bath routine includes "washing Jake's hair" and squirting Daddy! 8:32 PM... After bath, we get into PJs and read some books. 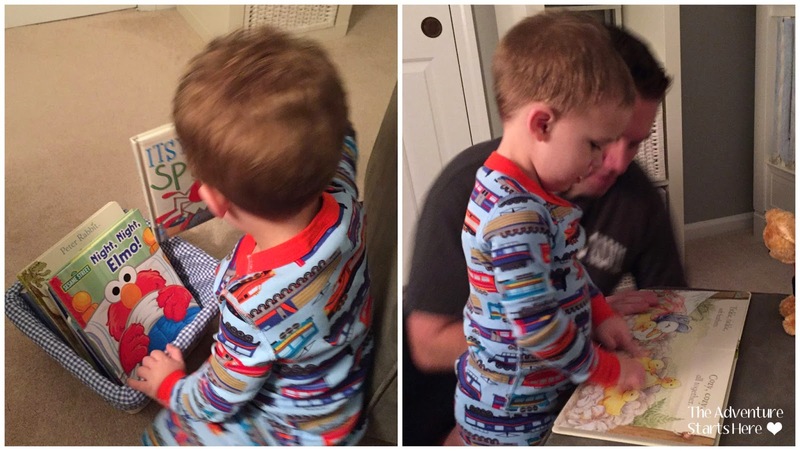 For a while Noah picked the same 3 books every night. Tonight he surprised us by picking 3 new ones that we hadn't read in a long time. 8:42 PM... We kiss Noah goodnight and I rock Noah to sleep. Since Noah was a newborn, we've listened to Taylor Swift's Red Album while rocking Noah. A few days ago he decided he no longer wanted music on while I rock him. Tonight was no different and I rock him in silence. He drinks his milk in his "Abby" cup (a Sesame Street sippy cup) and then goes to sleep. The great news is that Noah then slept through the night in his crib... I honestly can't remember when the last time he's done this! Sounds like you guys had a fun day! 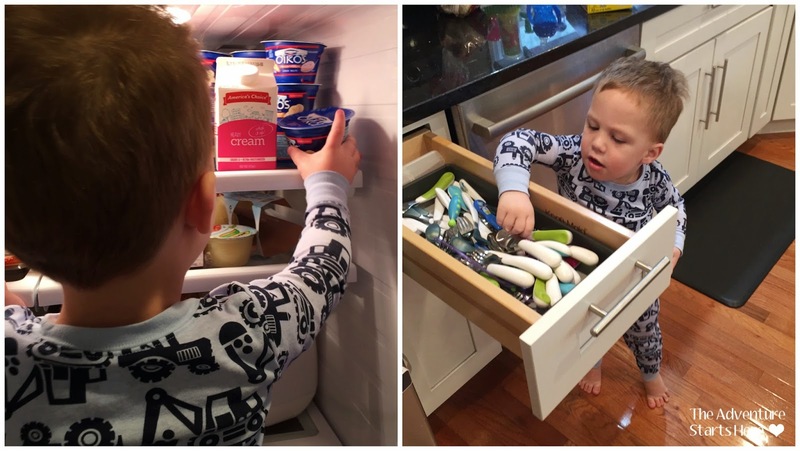 Mason has been super independent too, or at least as much as he can be, and runs to the drawer that we keep the apple sauces in, grabs one, and shuts the drawer, and runs over to give it to me to open it for him. He can't reach the yogurt so he asks for us to hold him, he pulls open the fridge and then he reaches up for it. It's so cute. 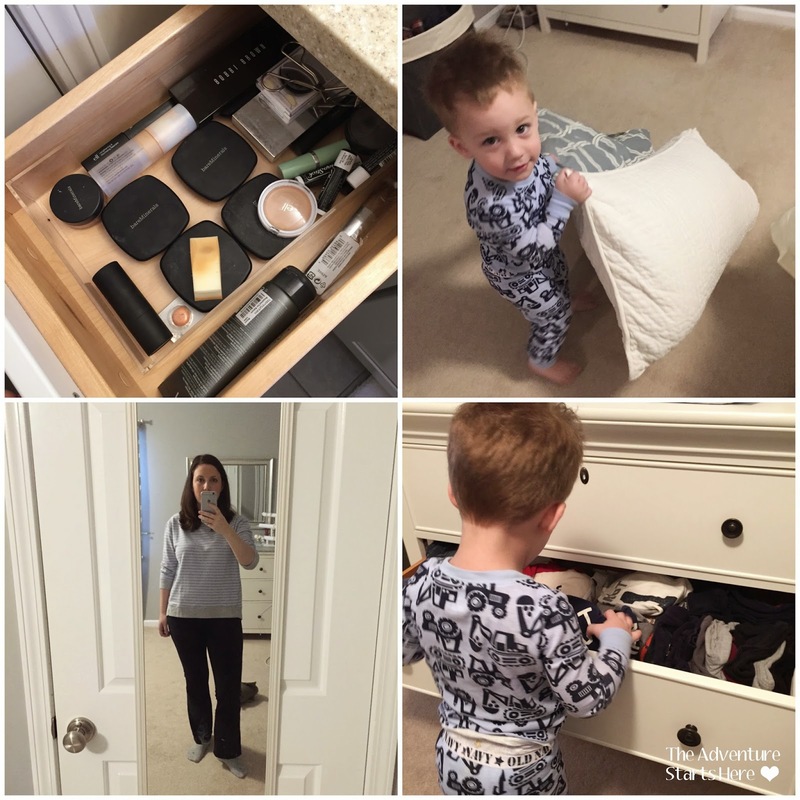 Love all of Noah's jammies! Are they all from Old Navy?